Posts tagged with "andrew gambino"
Big Daddy’s Beauty Supply store on Genesee St., in Utica, NY is more than what it seems. It’s the go to hair place for most African Americans in the area. Andrew “Andy” Gambino, (no relation to the Gambino family, although he jokingly says he couldn’t tell you regardless) took over the store after his father, Russell A. “Big Daddy” Gambino, died suddenly at the age of 66, on August 15, 2009. 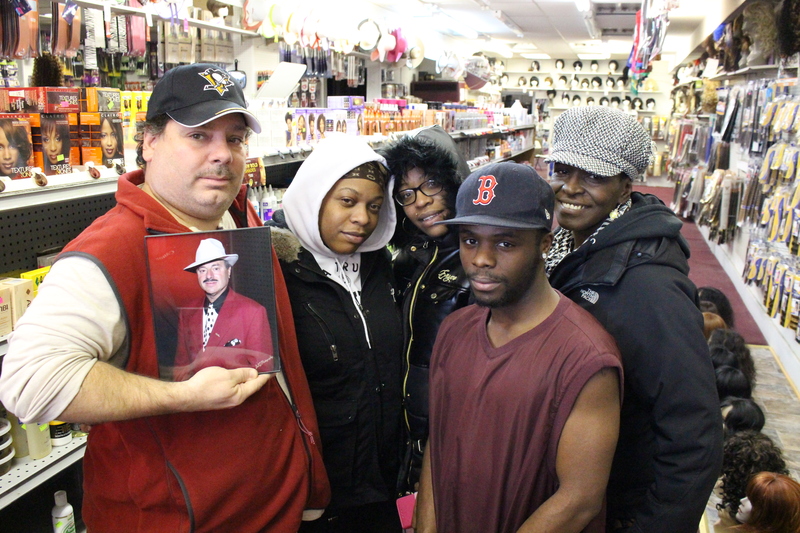 Gambino relocated from Pittsburgh, PA to carry on his father’s legacy, as he would have wanted. His father had long paved the way for him to fill his shoes, not necessarily by selling groceries or hair products to people, but with his love for the people he served. The younger Gambino has fulfilled his father’s legacy, and continues to do so. Quietly and humbly. What makes this story uniquely relevant to our collective American culture, is its deep rooted connection to the black community in Utica, and African American culture in general. Hair is an important part of our American culture and identity. For African Americans, especially, it is substantially more so, considering our long history battling our hair, and all the negative and positive stereotypes attached to it. For these reasons, and perhaps many more, Big Daddy’s has firmly secured its place as part of the unique African American experience. Although Big Daddy’s customers are varied and diverse, it is the main spot for African Americans to purchase the many products we use to maintain our hair, styles and all kinds of other products primarily used by black folks. There truly is no other hair supply store like it in the area. This is Big Daddy’s story in honor of his legacy and service to the people in the region, especially African Americans. This entry was posted in Archives, Faces In The Crowd and tagged andrew gambino, big daddy's beauty supply store, epa, epluribus america, jeanette lenoir on December 7, 2016 by jlenoir.